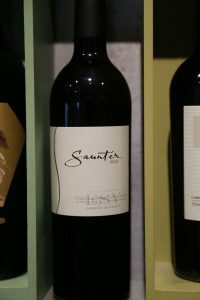 Saunter Wines is owned by Josh and Heather Clark and focuses on extremely limited, single varietal, single vineyard wines. Josh grew up in the Napa Valley, graduated from Cal Poly in San Luis Obispo (California’s Central Coast) and after college worked for an area family owned vineyard, helping manage six hundred acres. Wanting to return to his Napa roots and focus on growing premium vines – he moved back to the Napa Valley. Josh’s father Tom started his own vineyard management company in 1979 and ran that successfully for a number of years. Josh founded Clark Vineyard Management in the year 2000 building upon the contacts his father made in the winery industry and making many new ones. He currently manages several hundred acres of vineyards (mostly in Napa). 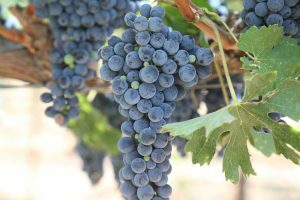 He works with a number or premium wineries and estate properties in the valley – both large and small and a good portion of their vineyards under management are on the hillsides. We always look forward to visiting some of the higher vineyards in Howell Mountain in the summer as the fresh natural aromas from the Manzanita and pine trees at this elevation are very reminiscent of what you would find in California’s Sierra Nevada foothills at similar elevations. We’ve spent parts of many summers in the Sierra foothills and this is the only appellation in Napa with very similar characteristics. Vineyard manager and proprietor Josh Clark grew up on Howell mountain and naturally this is where we met he and Heather to taste through the current releases of their wines. 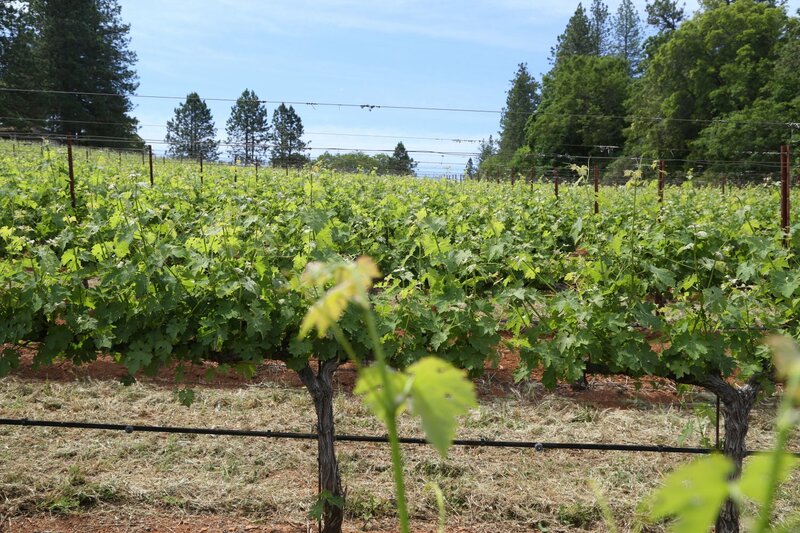 The Eagle Summit Vineyard (now owned by Randy Dunn of Dunn Vineyards) on Howell Mountain is slightly under 2000 feet. Josh has come full circle in relation to this property – he remembers running up the slopes where the vineyard is now and playing in the snow as a child. This is the first commercial vineyard he planted in the Napa Valley, and while he currently manages several hundred Napa vineyard acres – ironically it is this vineyard that he is making wine from. 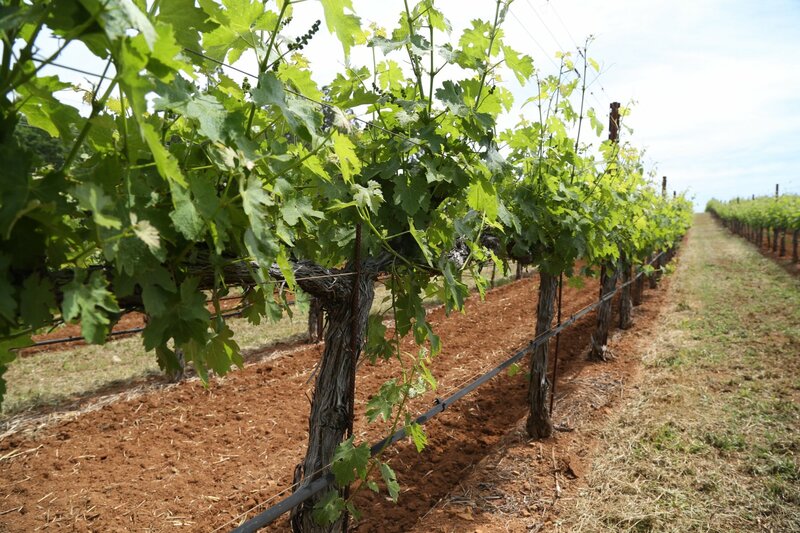 Like much of Howell Mountain, this vineyard is planted on rocky red iron rich soil. This is a vineyard “neighborhood” that brags of premium terroir based on the the wines that are made from this area. Nearby vineyard neighbors include Randy Dunn’s property and the Stout Ranch (where Duckhorn currently sources from). 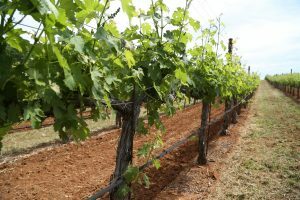 The advantage of making wine when you own your own Vineyard management company in Napa is that you really get to “know” the vineyard terroir of the valley as well as the vineyard owners. Eventually you find or manage premium vineyards that would be a good fit in your portfolio of wines. Josh has been able to do that with both the Red Head Vineyard (below Atlas Peak) and Eagle Summit on Howell Mountain. Josh manages both vineyards very carefully and has been fortunate to be able to selectively pick down to specific rows and vines within these vineyards. 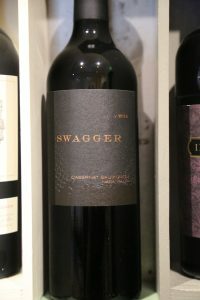 The 2010 Swagger is mostly Cabernet Sauvignon with just a touch of Petite Sirah. It is dark and inky in the glass – with a sweet, very aromatic and floral bouquet – notes of violet along with ripe blackberry. The aromas are bright and lively. The entry on the palate is clean with good layering of both red and dark fruit. Lingering dusty tannins remain for some time. This wine certainly over delivers for the price. The 2010 Red Head Vineyard (named after a certain color of the vineyard owner’s hair) is a small vineyard in southern Napa on the way up to Atlas Peak. This wine is a showcase of a relatively new Cabernet Sauvignon variety, French clone 685 – an early ripening variety. The 2010 vintage is the first ever vintage from this vineyard. The vineyard itself is made up of extremely shallow soils (just over a foot deep) with both river cobble and compressed volcanic ash. The wine is 100% varietal and 100% of this clone. The bouquet is pretty – with inviting aromas of holiday spice and both blue and black fruit leading to a palate that is rich, focused and concentrated. The young tannins are big, earthy and linger for some time. The palate is ripe yet carefully walks a fine line staying clear of the side of over ripeness. The 2010 Eagle Summit aromatically shows dark fruit, deep in aroma and seductive. This full bodied palate is balanced, soft and very approachable young. However it is well layered and quickly gains structure with complex tannins anchoring a fairly long finish. Only 75 cases of each of these single varietal wines was produced. Saunter literally means to “walk at a leisurely pace” or to take things slowly. This name was chosen to honor “moments that have given meaning to our lives”. Moments that as they describe as “an early morning sunrise” and certainly while enjoying a fine wine.